1. Less is more - Personally, I find that having too many options leaves me flustered when it's time to get ready. 2. 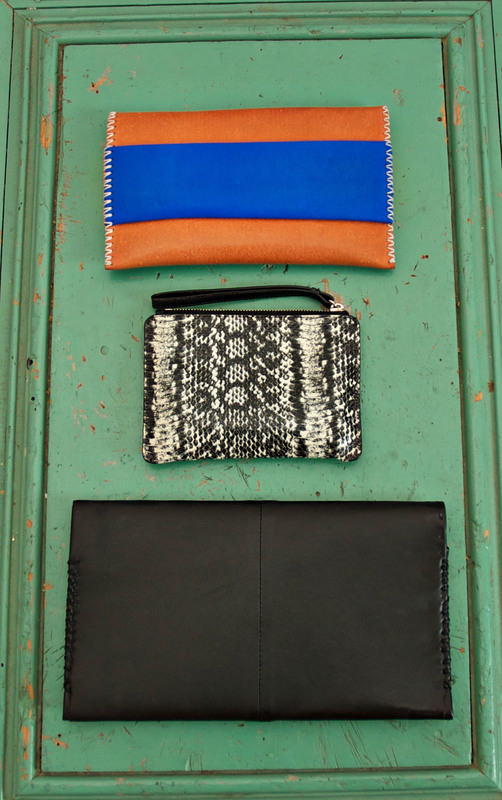 Think occasions - Every Day Clutch, Date Night Clutch, Super Casual I'm Not Even Trying Clutch, Life is Fun Clutch and Fancy Pants Clutch. 3. Count on your "go-to's" - If the clutch world is overwhelming to you, no worries. 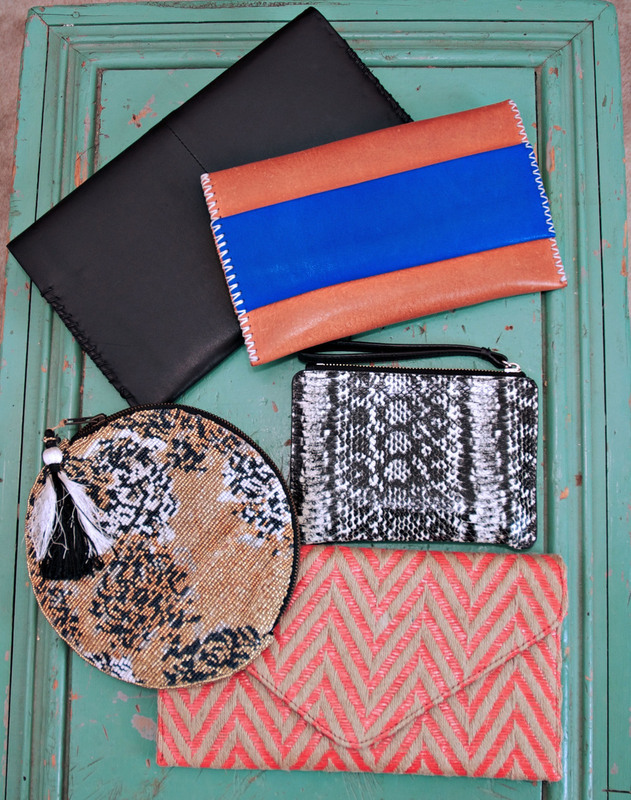 Have one black and one brown clutch you love and most times they will go with anything! 4. 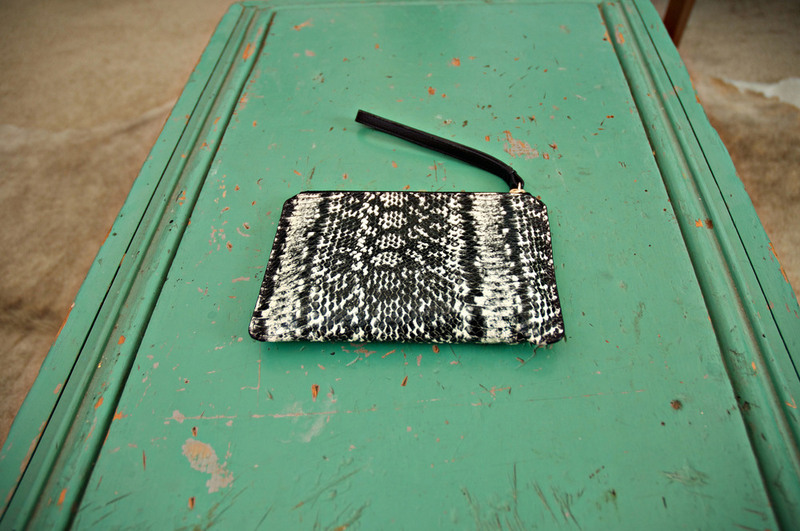 Bet on Yourself - The only clutches worth buying are ones that you love. Don't second guess yourself or your taste. 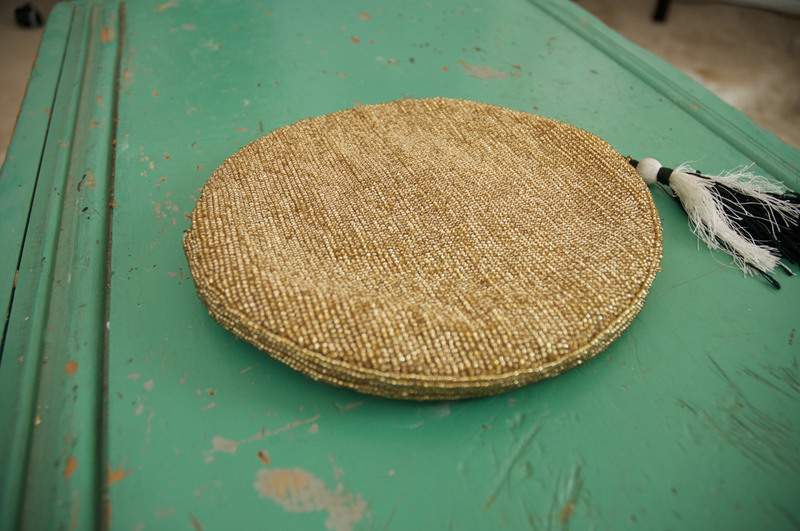 My favorite is looking for unique clutches with a bit of an edge. But everyone is different and you should invest in what makes you happy! My black clutch is something I made out of a leather jacket I bought back on a High School Italy trip. The jacket no longer fit me the way I desired but I wanted to keep the memory of this jacket and of course the buttery Italian leather. I youtubed how to cut and sew leather, and voila! 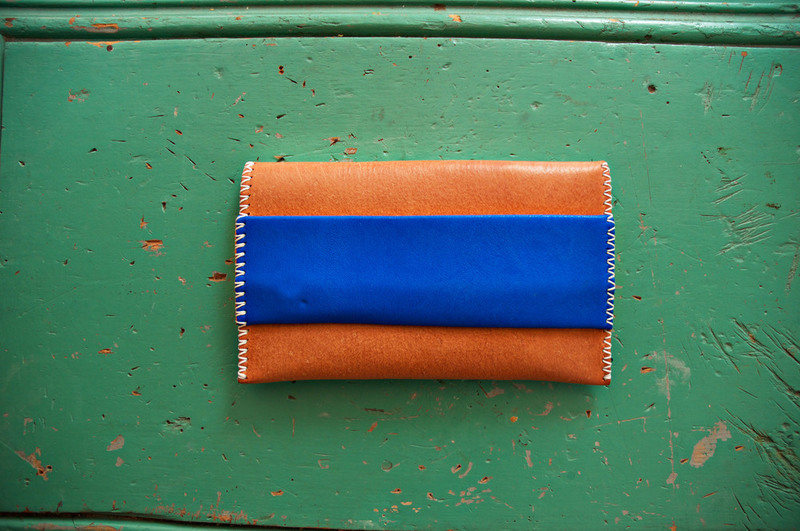 So, if you're feeling crafty and have any old leather lying around, go for it! Also, as for the links below: do what you want, but I would wait for the items to go on sale :).